Es'hail 2 is a planned communication satellite operated by Es’hailSat, the Qatar Satellite Company. It will also feature an radio amateur payload. 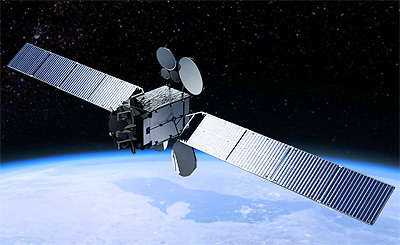 The new satellite will be positioned at the 26° East hotspot position for TV broadcasting and significantly adds to the company’s ability to provide high quality, premium DTH television content across the Middle East and North Africa. It will feature Ku-band and Ka-band transponders to provide TV distribution and government services to strategic stakeholders and commercial customers who value broadcasting and communications independence, interference resilience, quality of service and wide geographical coverage. Es’hail 2 is expected to be launched at the end of 2016. Es'hail 2 will also provide the first Amateur Radio geostationary communication capability linking Brazil and India. It will carry two AMSAT P4A (Phase 4A) Amateur Radio transponders. The payload will consist of a 250 kHz linear transponder intended for conventional analogue operations in addition to another transponder which will have an 8 MHz bandwidth. The latter transponder is intended for experimental digital modulation schemes and DVB amateur television. The uplinks will be in the 2.400-2.450 GHz and the downlinks in the 10.450-10.500 GHz amateur satellite service allocations. Both transponders will have broad beam antennas to provide full coverage over about third of the earth’s surface. The Qatar Amateur Radio Society and Qatar Satellite Company are cooperating on the amateur radio project. AMSAT-DL is providing technical support to the project. In September 2014, a contract with MELCO was signed to build the satellite based on the DS-2000 bus. In December 2014, a launch contract was sigbned with SpaceX to launch the satellite on a Falcon-9 v1.2 (Block 5) booster in late 2016, but was deleyed to th 3rd quarter of 2017 and then to 2018.